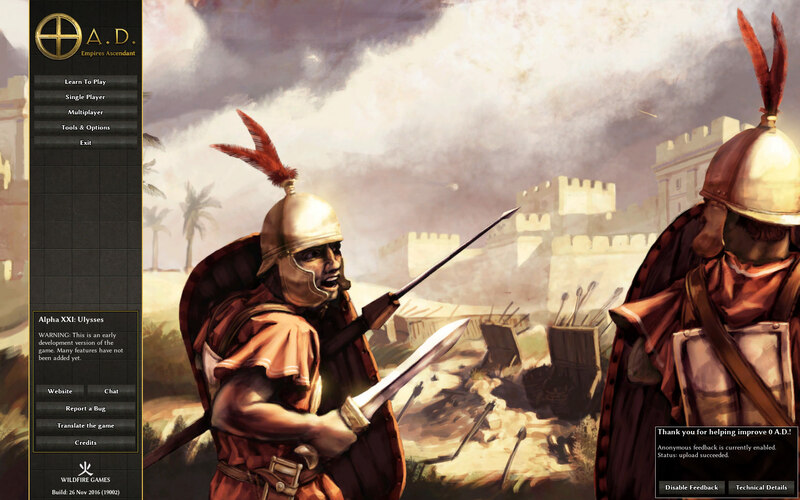 I am deeply honored to become the new Project Leader after Erik, who has been an incredible source of motivation since I started to contribute to 0 A.D.
As a programmer of the game, you should expect my first objectives to be related to the technical side of things. I would like to improve the environment of the programming team, in order to make the development less difficult and stressful; and I also plan to focus my programming activity on the libraries we use, and on communicating with the teams who create those. If we improve that environment, we can recruit new people and have more workforce to push the game towards Beta. However, I also want to be an actual leader for the project and its community as a whole, so feel free to contact me if you think something is needed in some area. I will be far more active in the forums and I’m eager to discuss with you all! Finally, I would like to thank everyone for being part of such a great community. The game would be nowhere near its current state without you, and we can accomplish even more great things together! The 19-20th of November, Itms went to the Capitole du Libre event in Toulouse, France, to showcase 0 A.D. and give talks. If by any chance you were there too, thanks for participating in this very cool event! 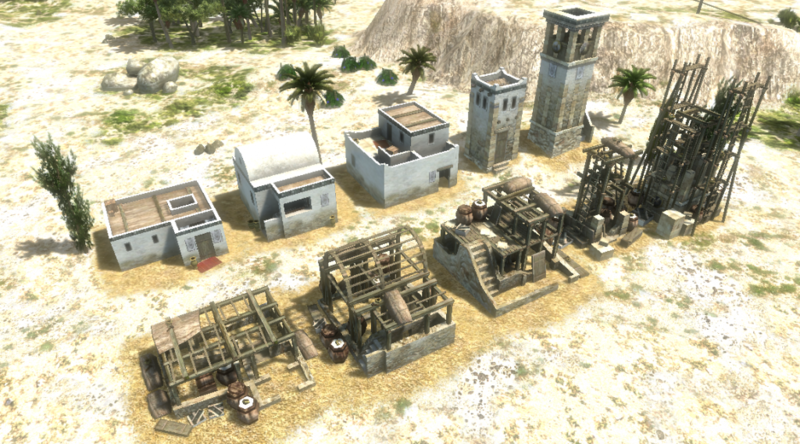 0 A.D. is already quite renowned in the FLOSS community, but a number of visitors discovered the game for the first time and were greatly impressed. The game, while still in development, is already suitable for a general audience. Itms could give a talk about the game and how Wildfire Games develops it, and also conducted a workshop where players could install 0 A.D. Alpha 21 on their machine and enjoy a game together. Everybody had a lot of fun! If you are yourself a 0 A.D. enthusiast, don’t forget to spread the word around you, so the game attracts more players and reaches new heights. 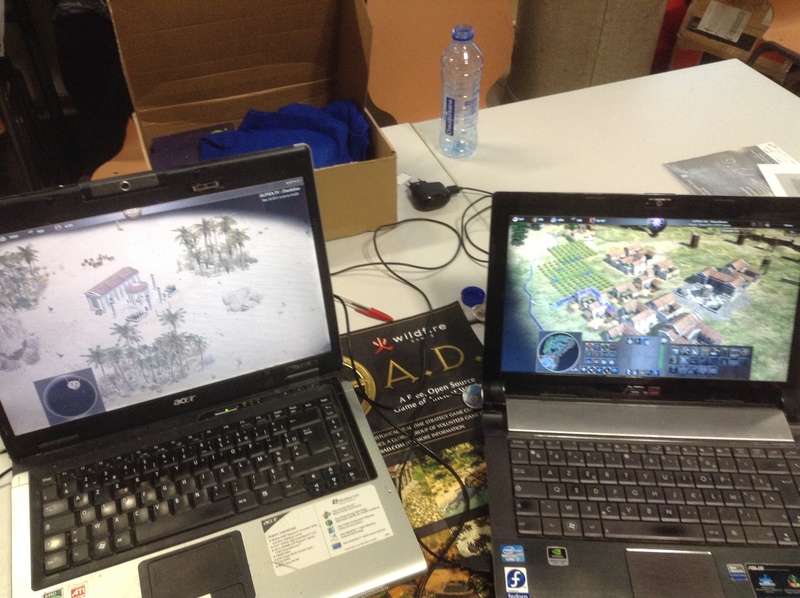 Our Art Lead Enrique has been busy, both in real life and working on 0 A.D. In real life he got married, congratulations Enrique. 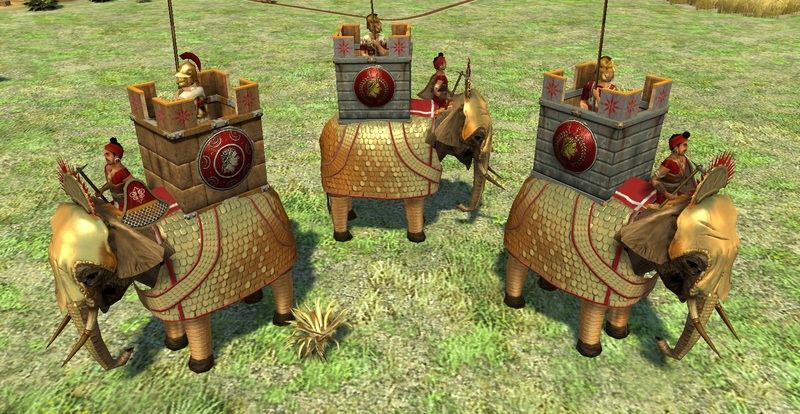 Working on 0 A.D. he has created 90 animations for the new unit meshes which brings them a lot closer to being finished. You can watch several of them in the video below. Our other artist Johnathan (aka LordGood) has also been busy and has among other things created two new main menu backgrounds, construction models for a couple buildings, some new animations, and several more things. Apart from that there has been work done on both mod support, balance fixes, AI improvements and more. If you want to get a list of all the major things done for Alpha 22 so far check the Alpha 22 changelog (it is updated as new things are added to the game, so keep coming back to it if you want an overview of changes as they happen).